Creating a backup of your data is akin to maintaining savings. You’ll never know when you need it, but when the time arrives, you’ll be desperate to use it. The highly competitive streaming music space gains and losses services every few years, but Spotify keeps its dominant position on the strength of its impressive 30-million-plus song library with more than 20,000 new songs added each day. As a Spotify user, you probably have tens or hundreds of playlists on your account, each of them took a long time to craft for every occasion. In this case, if all your Spotify playlists are destroyed instantaneously, lost forever due to a sudden crash of account, that is thing of a special bloodcurdling. 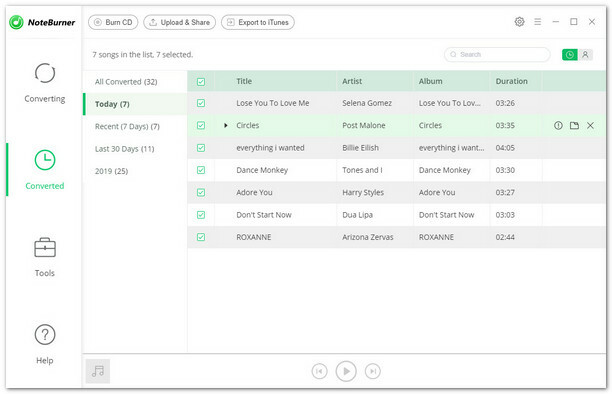 To avoid the possible loss of your Spotify playlist, you need to make a backup. Computer backups are generally stored on separate disks or external HDDs. That is to say, the best way for saving your data is to transfer all of your music from Spotify to external hard drive. 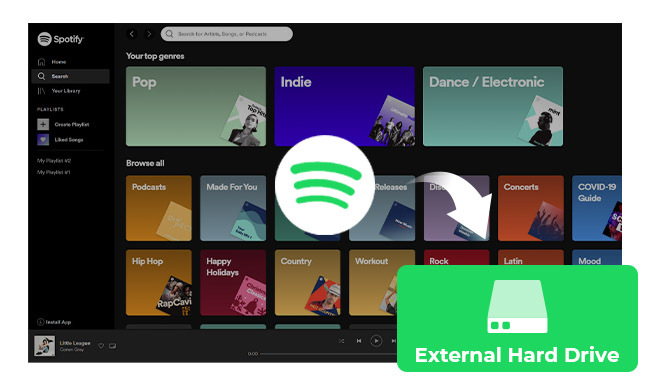 In the following article, we’ll show you the complete guide on how to download and transfer Spotify songs to external hard drive with ease. 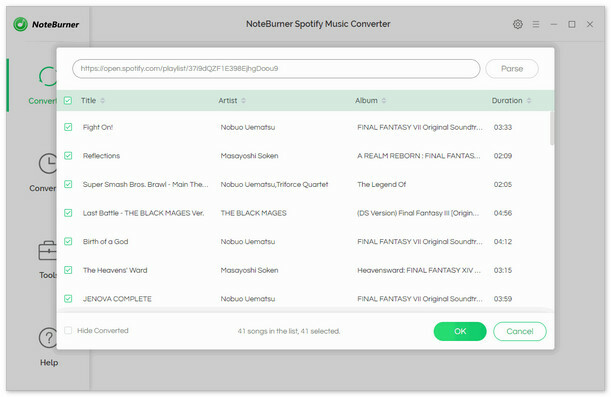 NoteBurner Spotify Music Converter is arguably the most well-known Spotify playlist transferring tool. 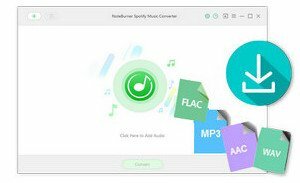 It is specially designed for Spotify users to easily download and convert any Spotify track, album and playlist to DRM-free MP3, AAC, FLAC or WAV format, so that you can move unlimited Spotify songs to your external hard drive or other devices without any restriction. 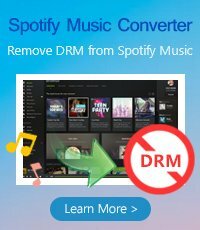 And even if you are using the Free Spotify account, this smart tool also can help you download music from Spotify at 5X fast speed while keeping the original audio quality and ID tags of the music in output files. 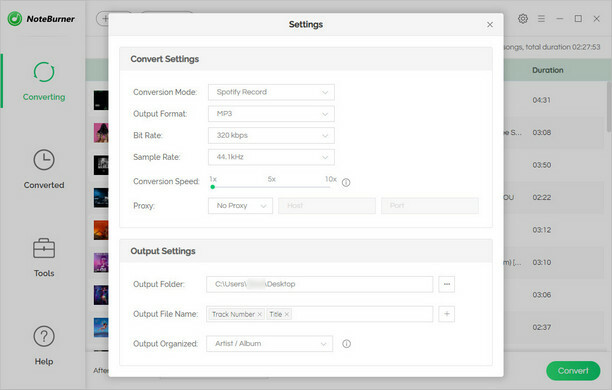 The following is a detailed tutorial about how to download and transfer Spotify playlists to external hard drive. Please download this useful tool on your computer first before getting started. Connect your external hard drive to your computer through USB cable. Open the output folder and then drag all of the converted files to it. This process time will vary, depending on how much data you want to transfer.